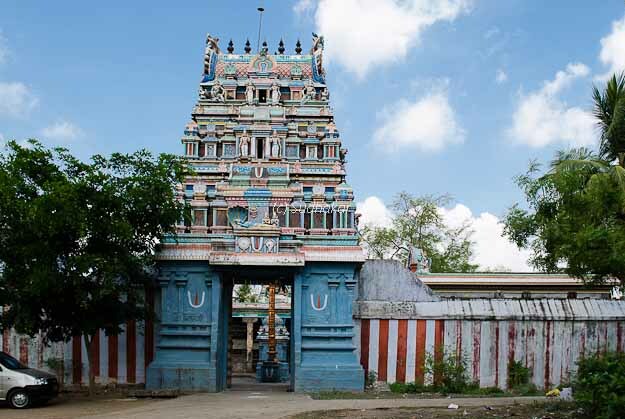 Aadhanur also known as Thiru Aadhanoor is one of the 108 divya desams near Kumbakonam. Kaamadhenu is a cow that came out of 'Parkadal' and was gifted to lord Indra. In Tamil 'Aa' means cow. Since Lord narayana gave darshan to the cow Kamadhenu here, this place became to known as 'Aadhanur'. Lord Sriman Narayana here is seen in 'pujanga sayanam' sleeping posture with an arm under his head. He is seen resting on a 'marakkal' (மரக்கால்- a measure to measure grains) and holding a writing instrument on his left, signifying that he measures not only food but good deeds to the living beings. Hence the Lord here is known as "Aaandu Alakkum ( measuring) Ayyan". The Moolavar of this sthalam is Sri Aandu Alakkum Ayyan. The Moolavar is giving his seva in lying position facing East. An unique feature here is Kamadhenu and Thirumangai Azhwar seen near the Lords feet inside the sanctum. The Thayaar in this sthalam is RanganayakiThaayar. 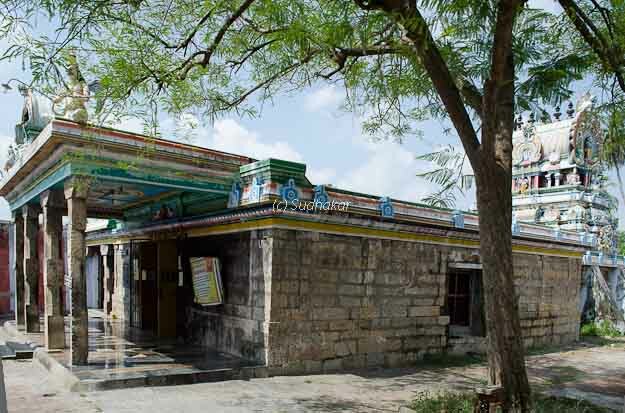 Temple location It is situated around 12.6 kms from Kumbakonam near Swamimalai Temple. Town buses and mini buses are available from Kumbakonam but not frequent, but please check the bus timings with the bus stand. How to reach? Aadhanoor can be reached by road from Kumbakonam via Swamimalai. Kumbakonam is well connected by road and train services. Station at Kumbakonam and visit many heritage temples in the surrounding area of within 15 kms radius. Where to Eat?There are no restaurants in Aadhanoor. You can reach Kumbakonam for lunch / dinner. 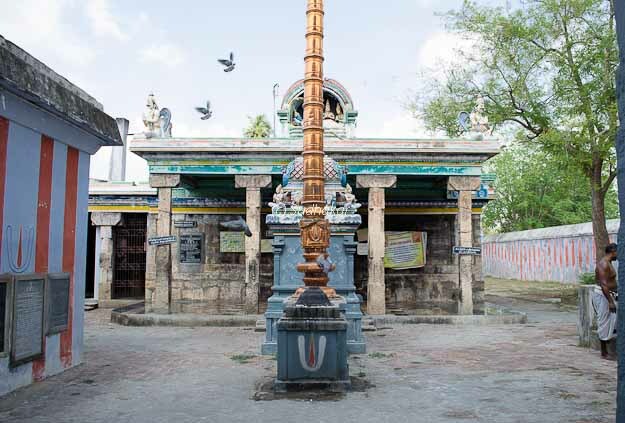 Other important places around Aadhanoor Swamimalai, Pullam Boothankudi ( one of 108 divya desams) are some of the famous temples nearby or en route.